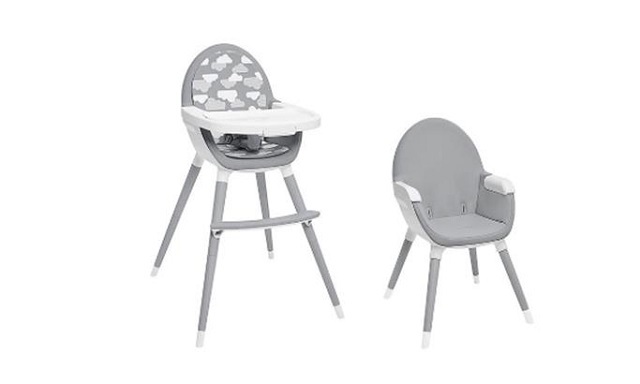 This expanded recall involves Skip Hop's Tuo convertible high chairs in charcoal gray or silver/white with clouds that were not included in the previous recall. The recall has been expanded to include additional date codes associated with the affected style numbers. The highchairs have a reversible seat pad, removable tray, 5-point harness, beechwood footrest and legs. The highchairs can convert into a toddler chair. As of December 12 2018, the company has received 5 reports of detached legs in Canada, and one report of minor bruising. In the United States, the company has received 13 reports of detached legs, and no reports of injuries. Approximately 8,600 units of the affected products were sold in Canada and approximately 32,300 were sold in the United States. The recalled products were sold from June 2017 to December 2018 in Canada and the United States at various retailers and online stores. 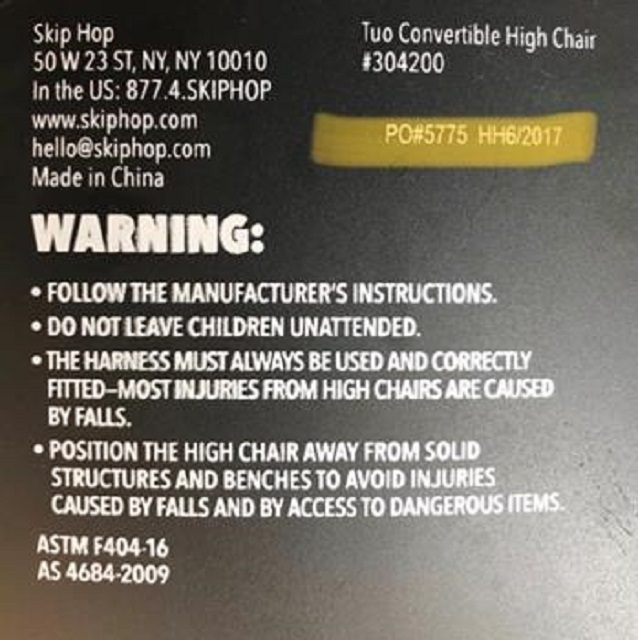 Consumers should immediately stop using the recalled high chairs and contact Skip Hop for a full refund or an e-gift card of comparable value. Consumers can contact Skip Hop toll-free at 1-888-282-4674, from 9 a.m. to 5 p.m. ET Monday through Friday, or visit the company's website and complete the Product Refund Form.